A gem some of you might have missed out on is the UNDERCOVER LAB created by architect Klein Dytham for Jun Takahashi and completed in 2001. Tucked away in the back streets of Harajuku, the first thing you see is a 10m long narrow driveway that leads to a 12m x 12m site at the rear. 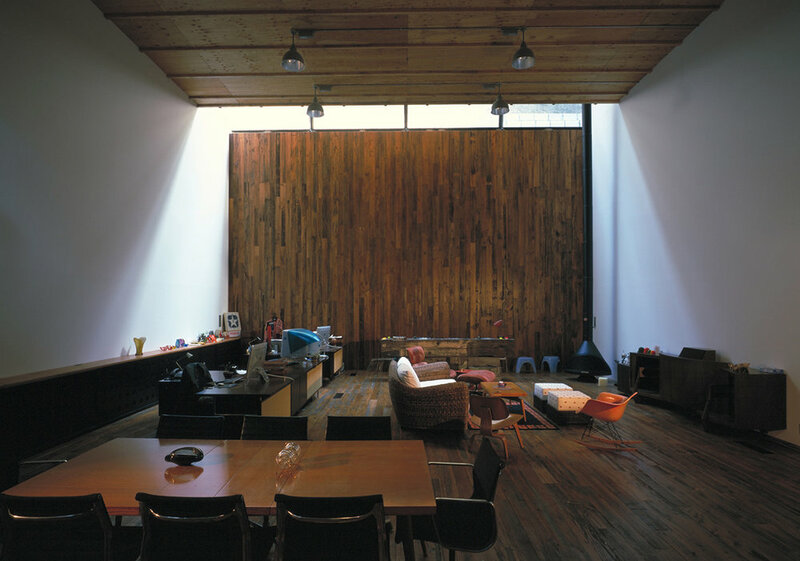 The building was made to house a studio, press showroom, and an office. Housed in a black tube running along the only 20m straight line on the site which extends out over the entrance driveway, is a 20m long hanger rail to show the entire collection of one season. The tube looks like a giant black shipping container and was made to spark a bit of curiosity of what might be inside and to be a bit intimidating. All the floors in the building were made with recycled wood from an old school for a more warm and friendly feel. You can check out a few more photos of the building below.